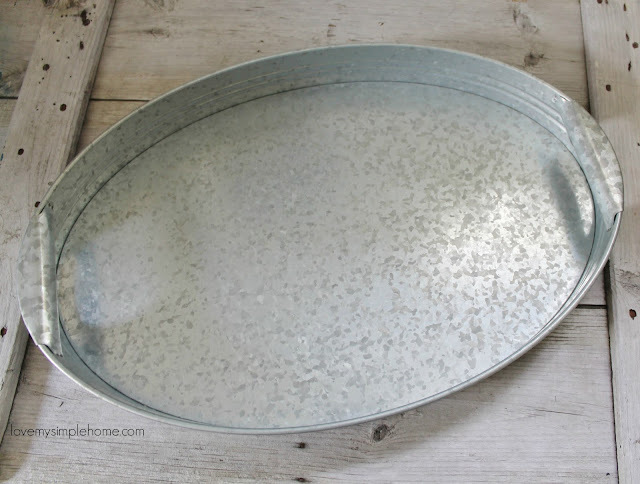 The other day while I was shopping I couldn't resist picking up this galvanized metal tray. When I saw it in the store I had this great idea of using a vintage stencil that I had waiting for me back home. Affiliate links of the products I used are included in this post for your shopping convenience. Just click on the bold words to reach the links. 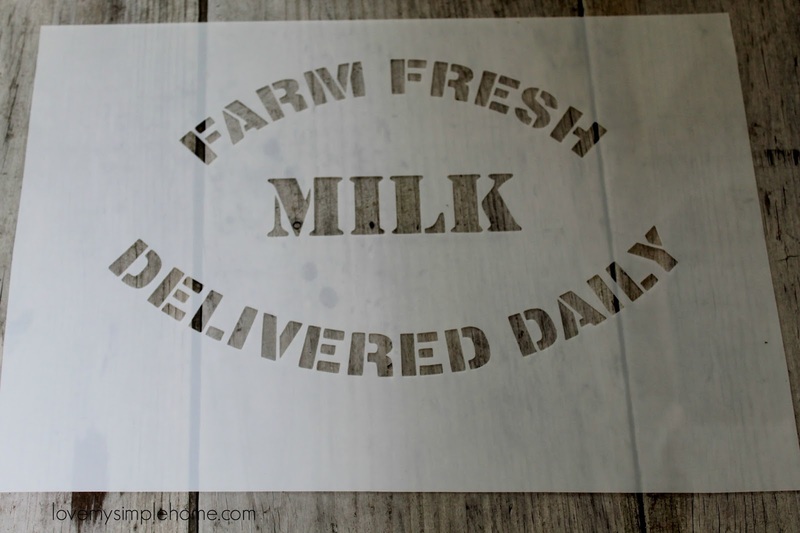 A few weeks ago I received several stencils from Angie at Knick of Time's Vintage Sign Stencils. 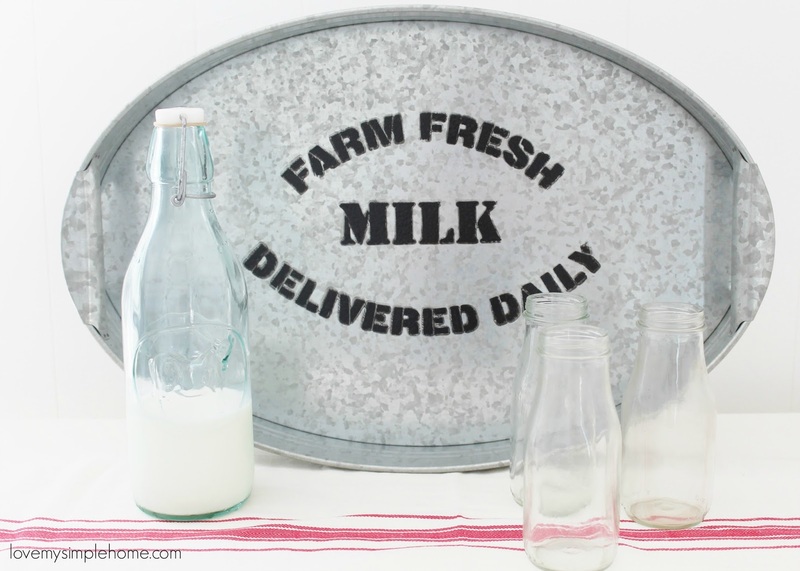 This was my first time using these beautiful stencils and I have to tell you how much I love them! They are high-quality and are made of thick plastic which made stenciling a breeze, plus they are very easy to clean! 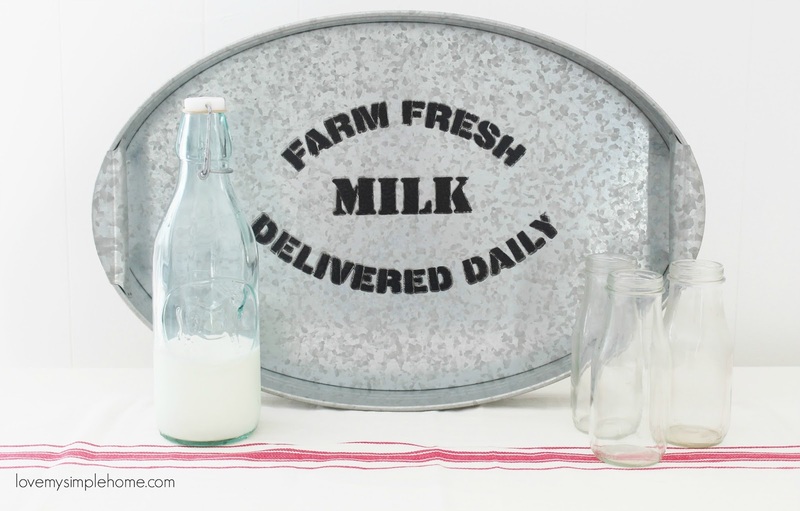 The stencil I picked for this project is FARM FRESH MILK DELIVERED DAILY. Use Painters Tape or Stencil Adhesive to hold the stencil in place. Use a Foam Pouncer to apply the paint in thin coats. I usually use a brush, but I wanted to try out my new foam pouncer. The foam pouncer was easy to use and easy to clean up. 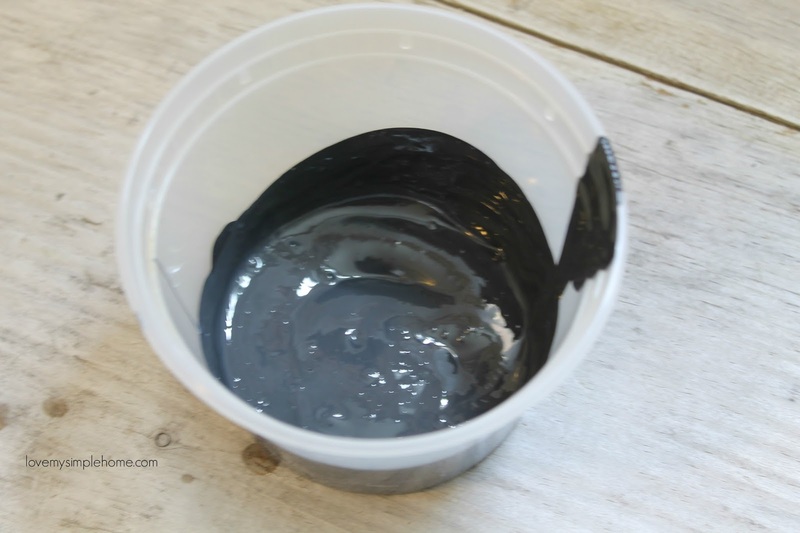 Mix Acrylic Craft Paint with a Multi-Purpose Sealer the sealer improves paint adhesion on slick surfaces like metal. I mixed half paint to half of the sealer. Dip the pouncer in the mixture and dab off excess paint onto a paper towel. Apply the paint to the stencil by starting at the outside edges, dabbing the pouncer in a circular motion while moving toward the center. Carefully remove the stencil and wait for the paint to dry. To protect the paint from scratching and chipping apply Clear Acrylic Gloss Spray. 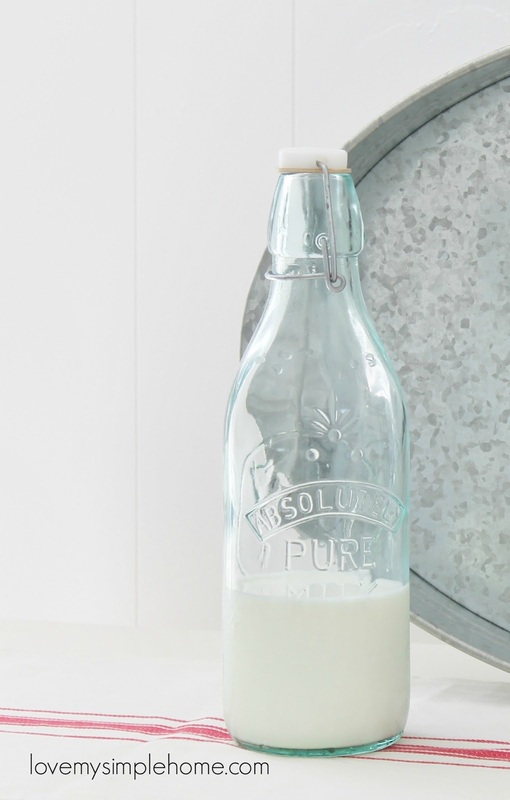 Make sure the acrylic spray dries completely before putting your decor on top. 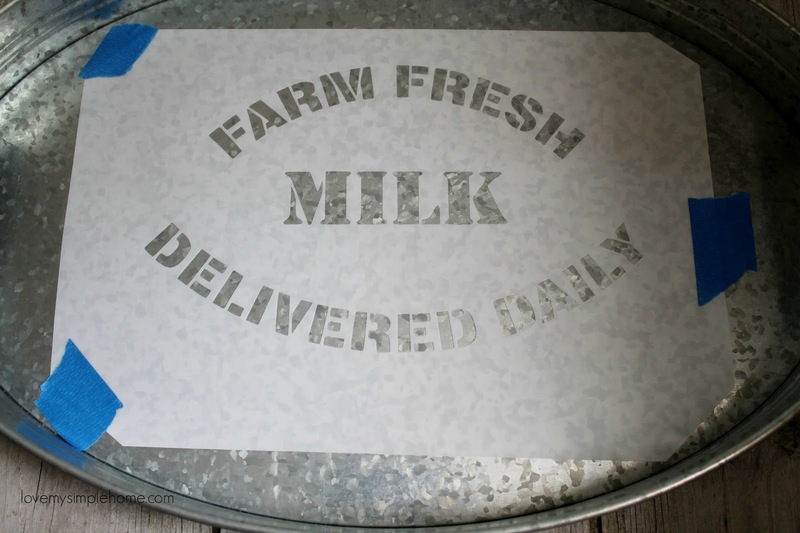 I have a few more stencils from Knick of Time's Vintage Sign Stencils that I will be using for future projects. I can't wait to share those with you! Thank you, Angie, for sending me these amazing stencils! Now that you know how to stencil a galvanized tray, here are some affordable one's for you to use. 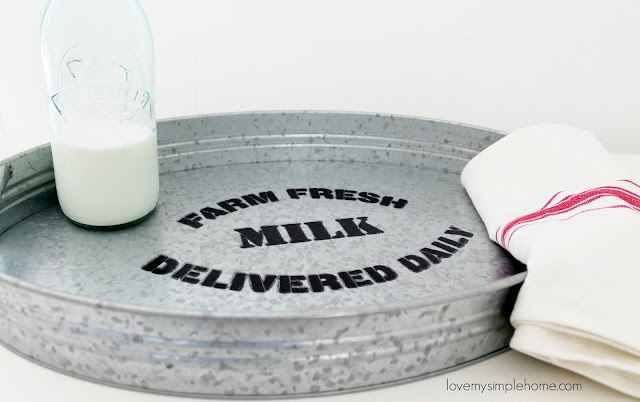 Julie, that was the perfect stencil choice for your tray. I'm so glad you enjoyed using it - it turned out adorable! Pinning it! Thank you Angie, I love how it turned out! I am using the tray in my kitchen and I plan on taking it outside to use on the patio. I can't wait to use the other stencils that you sent. Looks great. Did you prep the metal with anything prior to painting? Thank you so much Barbara! Yes, I used a Multi-Purpose Sealer. I added the link for purchase in the tutorial. 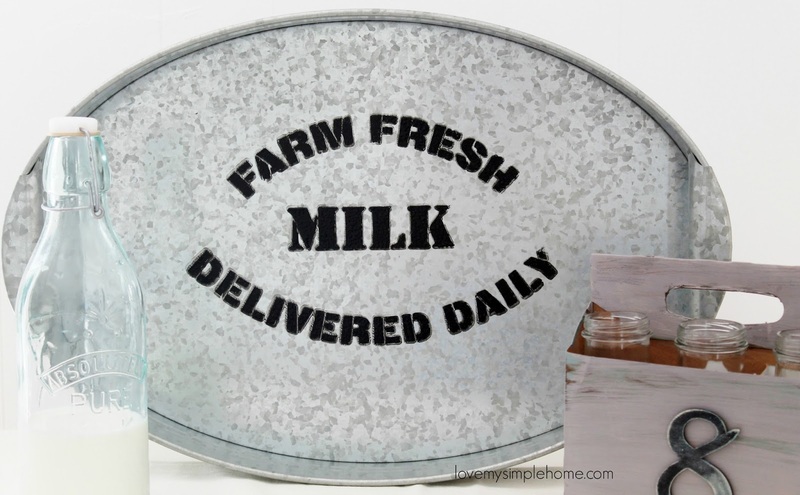 Weird question does the acrylic spray make the tray food save? Or should this be just be for decoration and drinks? Thanks! Hi Kim good question! I'm not sure if the spray makes the tray food safe so I wouldn't recommend placing food directly on the tray. I used plates and glasses on top and the acrylic spray keeps it from scratching. I also use it for decoration on my kitchen counter. I hope this helps. Thank you for the visit! 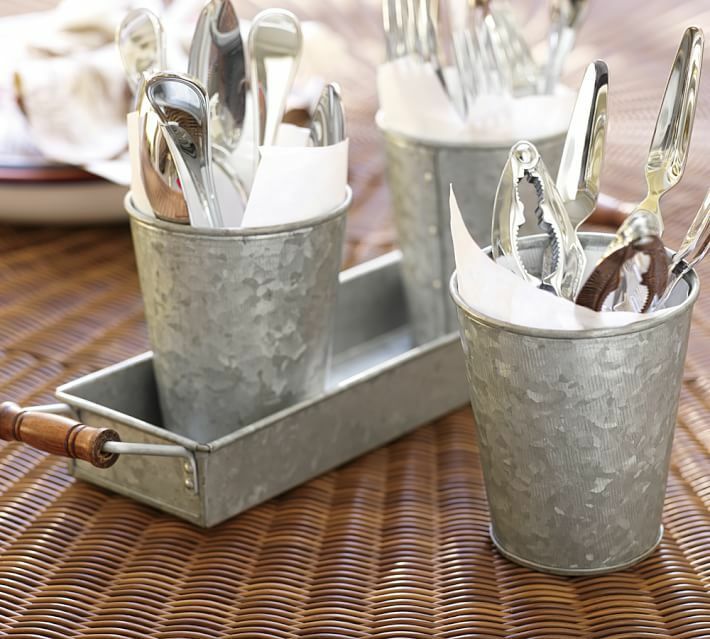 Your serving tray looks great! I love the choice of stencil. 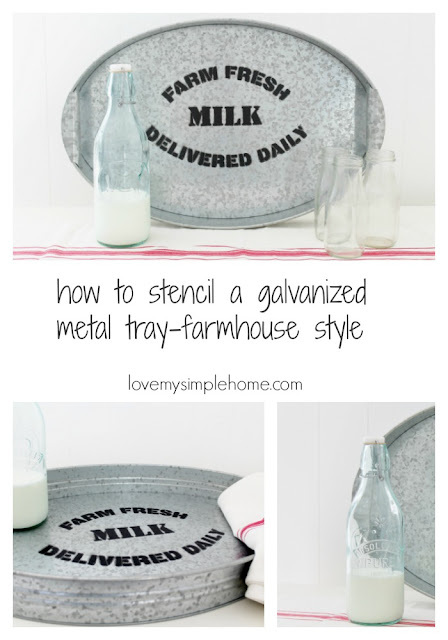 I love anything galvanized, but haven't tried stenciling on it yet. Thank you Linda I love this stencil too! This project turned out to be a lot more easier than I thought it would be. Such a great, purposeful project. I love the way it came out. I've been meaning to use my stencils again! Thank you Kristy! I had fun using the stencils I hope you use yours again! Thanks for the tip to add the sealer to the paint to make sure it sticks!